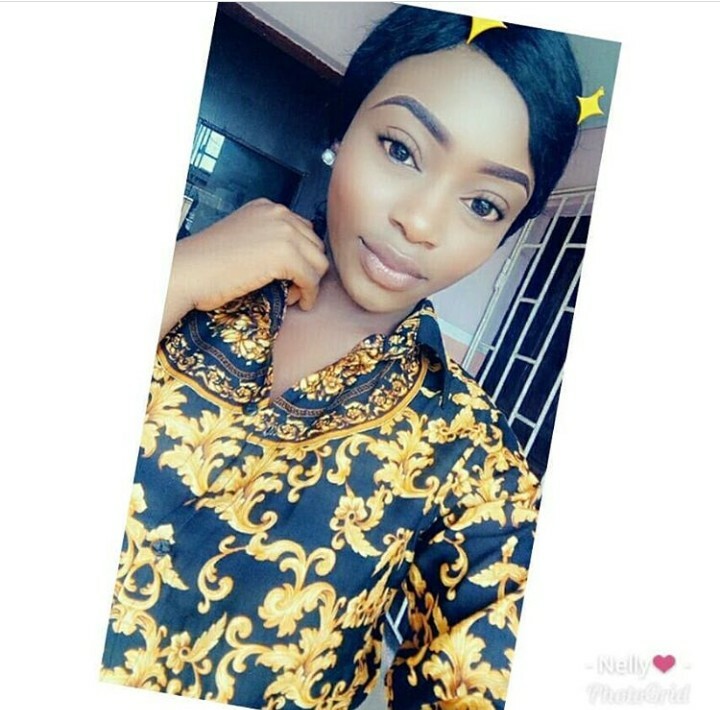 A lady took to her Instagram page to call out Kick Against Indiscipline (KAI) force for brutalising her brother to Coma and injuring her dad’s head. 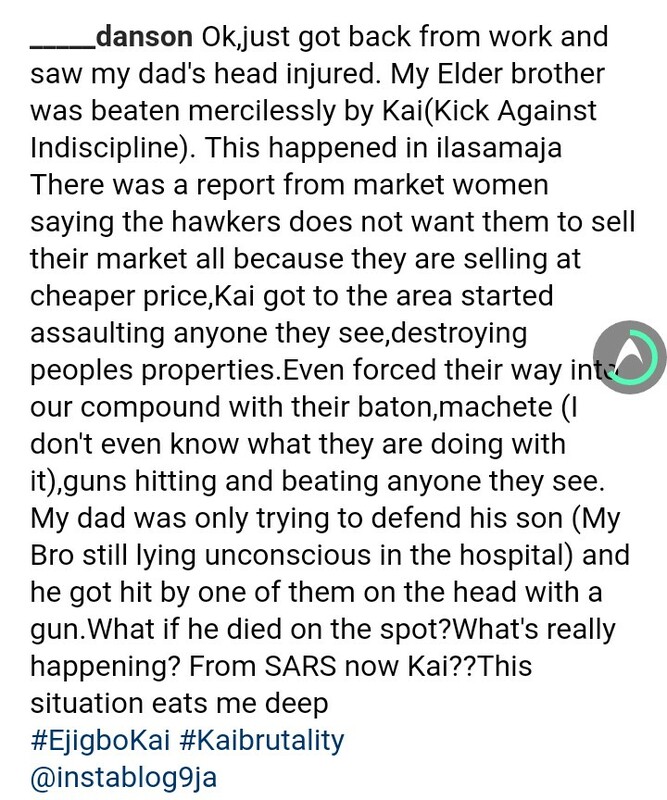 According to her post, KAI came to the market in their area due to reports of clashes of sales and started Assaulting people with gun. 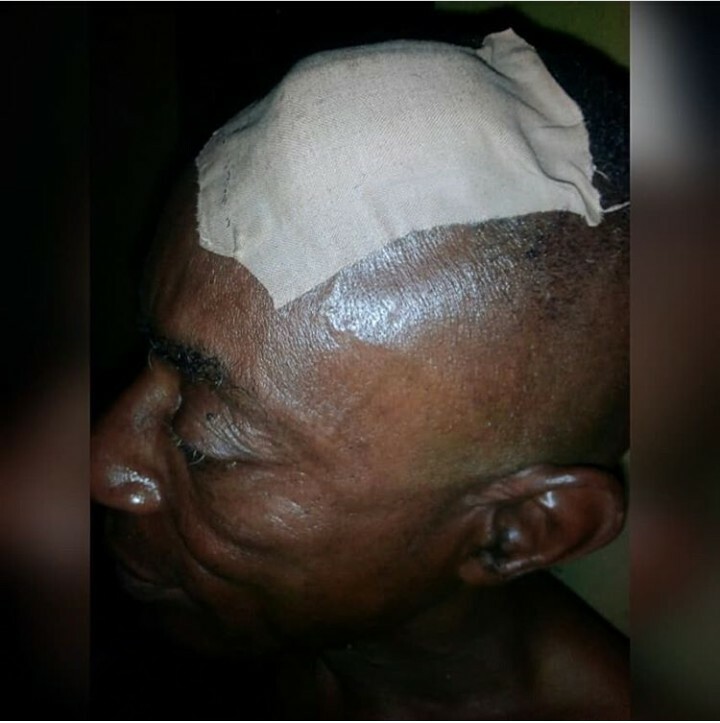 There was a report from market women saying the hawkers does not want them to sell their market all because they are selling at cheaper price,Kai got to the area started assaulting anyone they see,destroying peoples properties.Even forced their way into our compound with their baton,machete (I don’t even know what they are doing with it),guns hitting and beating anyone they see.